Former RNZB Artistic Director Ethan Stiefel’s classic production of Giselle first toured New Zealand in 2012, to critical acclaim and sell-out audiences. Subsequently performed by the RNZB in China, the USA, the UK and Italy, and turned into a feature film by New Zealand director Toa Fraser, this is a welcome opportunity for New Zealand audiences to again see this hauntingly beautiful ballet. In a remote village, the beautiful and innocent Giselle is courted and captivated by a mysterious stranger. When he is revealed as Count Albrecht, betrothed to another, Giselle, broken hearted, descends into madness and death. In the forest, the Wilis, vengeful ghosts of jilted brides, meet to greet their recently arrived sister: Giselle, who rises from her grave to join their ranks. Albrecht arrives to mourn, and the Wilis exact their revenge, compelling him to dance until he dies from exhaustion. Giselle shields him from their fury, until the first light of day brings the promise of forgiveness and redemption. 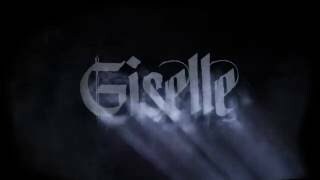 Romantic, mystical and lyrical, Giselle is a timeless production of one of classical ballet’s great stories.